As there "Electronic Fair" is going on in the Los Vegas, all the technology company is presenting there latest and upcoming gadgets and technology. There are giving there best to be in the top. In this fair you can see the latest technology and innovation's in the technology world. In the same fair Samsung has also presented its future gadgets which is very much a point of interaction for the visitor. 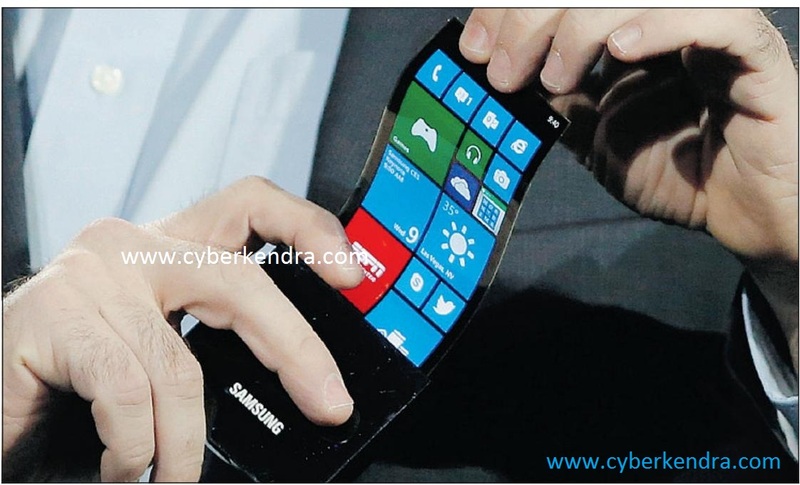 Samsung had showed the prototype of a flexible display screen cell phones. By this Samsung had solved the problem of cracking the display of cell phones. Samsung have give the name as "YOUM" to its flexible prototype display phone. There is a use of OLED display in the screen of "YOUM". The device that has been shows in the fair have a screen of 5 inch and resolution of 720 pixels. The screen uses organic light emitting diodes or OLEDs. Only a thin layer of these chemicals is needed to produce a bright , colorful screen. They are used in many Samsung's phones already, though with glass screen. For the bendable phone, Samsung laid the chemicals over thin plastic instead of glass.